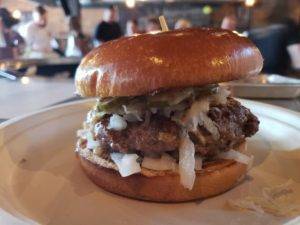 The Lexington Burger Week version of our German Bratwurst! 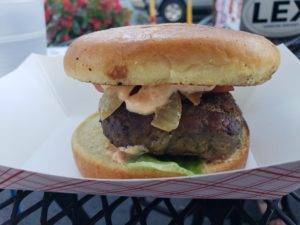 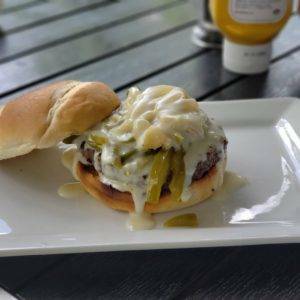 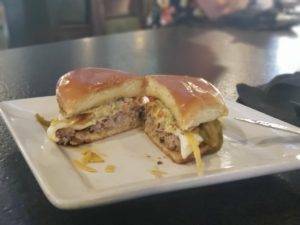 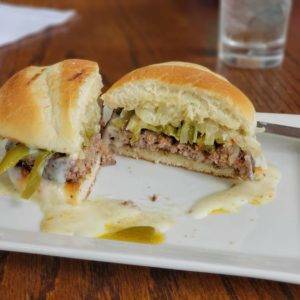 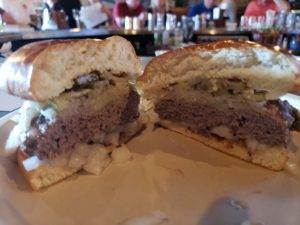 Beef patty topped with house fermented sauerkraut & pickles, diced white onion and finished with our famous West 6th IPA mustard! 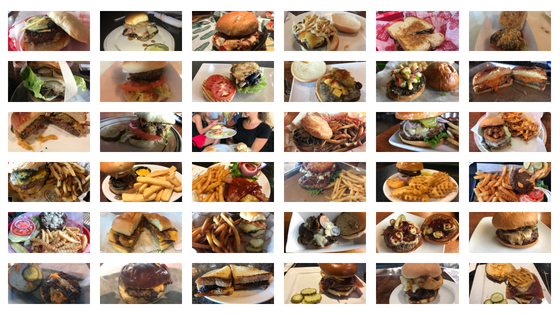 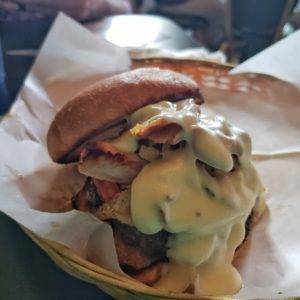 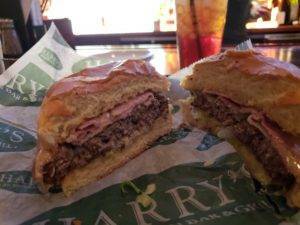 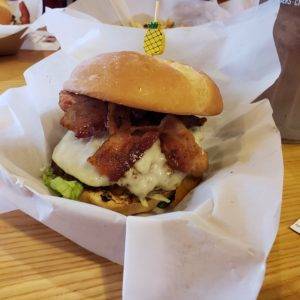 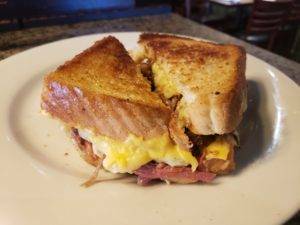 The burger version of our state’s most famous sandwich features a quarter pound of Kentucky beef topped with grilled tomatoes, local turkey, chopped bacon and creamy, white cheddar Mornay sauce. 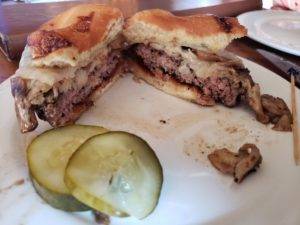 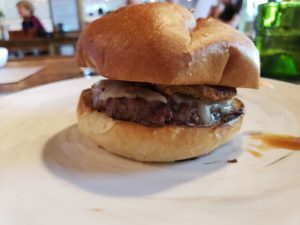 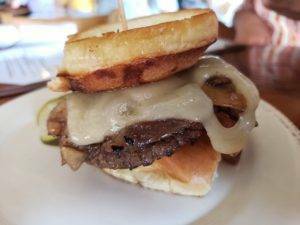 3 ounce burger topped with mushrooms and onions braised in a bourbon gravy layered with melted Swiss cheese and served on a toasted bun. 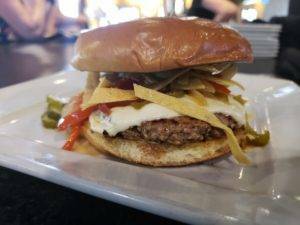 Fresh 6 ounce burger patty topped with sauteed green and red bell peppers, onions and queso cheese. 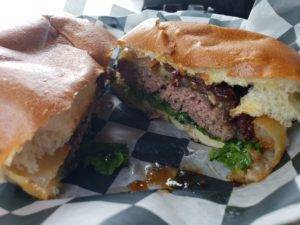 1/3 lb certified Angus burger with white cheddar cheese, topped with our handcrafted bourbon bacon jam, and a crispy onion ring served with green leaf lettuce on a brioche bun. 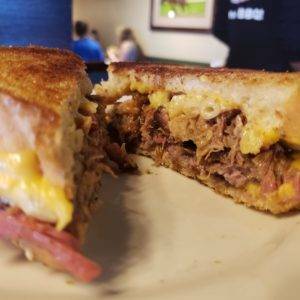 It’s jam good. 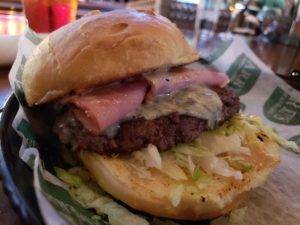 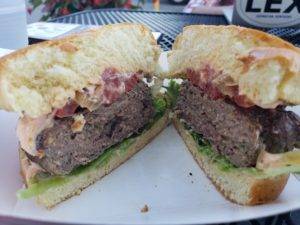 A fresh, never frozen patty topped with smoked ham, mellow marbled jack and blue cheese, shredded lettuce and bourbon-BBQ mayo on a warm, butter-toasted bun. 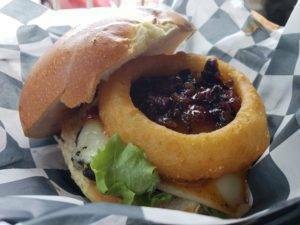 Juicy burger topped with sweet & smoky BBQ sauce, grilled pineapple salsa, hickory-smoked bacon, lettuce, Provolone cheese & a crispy fried onion ring served on a caramelized bun. 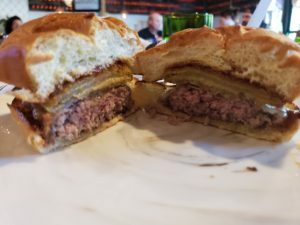 All beef patty topped with ginger ale-battered fried green tomatoes, local cheddar cheese, Kentucky bourbon and local sorghum sauce.